2014, Dir. Ultan Guilfoyle, 50 mins, English. For the first time in history, women are designing our world. 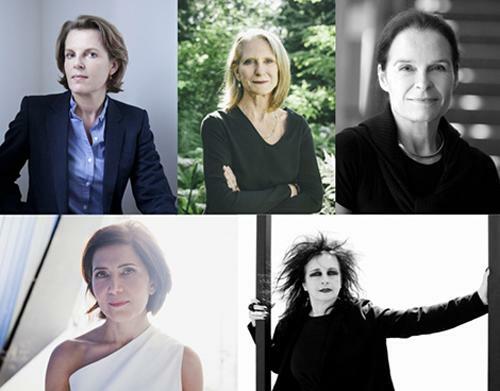 A new generation of women is creating some of today’s most iconic architectural designs. They are the rising stars in what has been an all-male galaxy and they are literally and figuratively changing the landscape. MAKING SPACE /5 Women Changing the Face of Architecture brings to the screen the personal journeys and outstanding designs of Annabelle Selldorf of New York, Farshid Moussavi of London, Odile Decq of Paris, Marianne McKenna of Toronto, and Kathryn Gustafson of Seattle, Washington DC ,and London. Lively, engaging and character-driven, MAKING SPACE reveals how these women are succeeding in a profession long dominated by men. We hear about what drives and challenges them, what choices they have made, and what is the nature of their creative process. We see the women both inside and outside their work environments and visit spectacular sites near and far. Print courtesy of the Architecture and Design Film Festival. 2012, Dir. Tapio Snellman, 11 mins, English. The film installation of Lina Bo Bardi: Together is an emotional journey into the intent of the architect. It is not a conventional architectural documentary explaining a building’s layout and spatial qualities, but rather it teases the spectator to understand the cultural context and the opportunities the architecture gives to the user. The two hanging projections explore SESC Pompéia, Bo Bardi’s cultural centre in São Paulo in its various reincarnations. It shows how physically unchanged spaces have the flexibility to completely change in atmosphere and quality depending on the time of the day, the event and use. Synced to this imagery is the third projection on the ceiling and reflected in a pool of water, showing the context of the the massive, raw city of São Paulo, which surrounds the centre. A small screen tells another story of SESC Pompéia: Its a symphony of textures and materiality, of chipped paint and rough stone and flowing water. While no people are present in this film, the materials speak about footfall and use, of human creativity and about the tactile world of Lina Bo Bardi. Two further conjoined screens show a duo of films shot in Salvador, in the Northwestern state of Bahia. One explores Lina Bo Bardi’s inspiration for SESC Pompéia through the Afro-Brazilian craft markets and the life in the colonial neighborhoods of the historic city. The other film shows Solar Uniao, the factory transformed by Bo Bardi into a cultural centre. 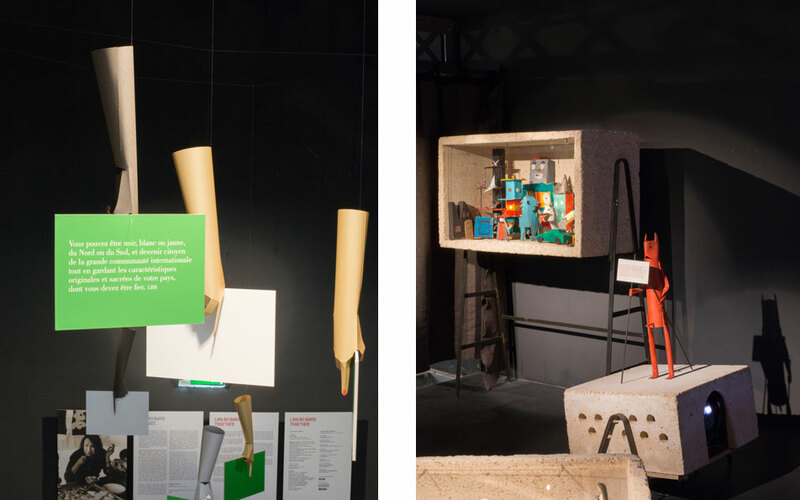 It explores the historical buildings as reinterpreted by Bo Bardi and occupied by children creating objects for the exhibition with Vriesendorp. Melissa Bright, Director of MAKE Architecture. Mel Bright, owner and founding director of MAKE architecture, an emerging practice that has already gathered a collection of built work that displays a striking conversation with Melbourne architectural heritage. With their work predominantly in residential builds, alterations and extensions, the careful and strategic understanding of occupational use is complimented by an intrinsic interest in material specificity framed by a wider concern for urban scale and domesticity.